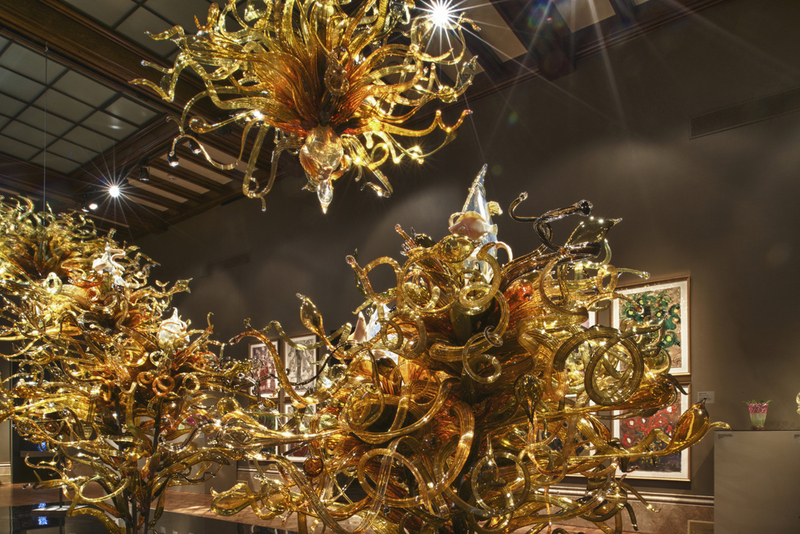 In 1996, Dale Chihuly mounted an enormously ambitious and momentous project: he installed fourteen massive Chandeliers at various landmarks in the city of Venice—from a floor-to-ceiling Chandelier at the Doge's Palace to a fiery sunburst over the Rialto fish market. Chihuly Over Venice was meant not only as a triumphal artistic tour de force, but also as a tribute to the city where Chihuly launched his career, as a Fullbright Fellow at the Venini glass factory in 1968. 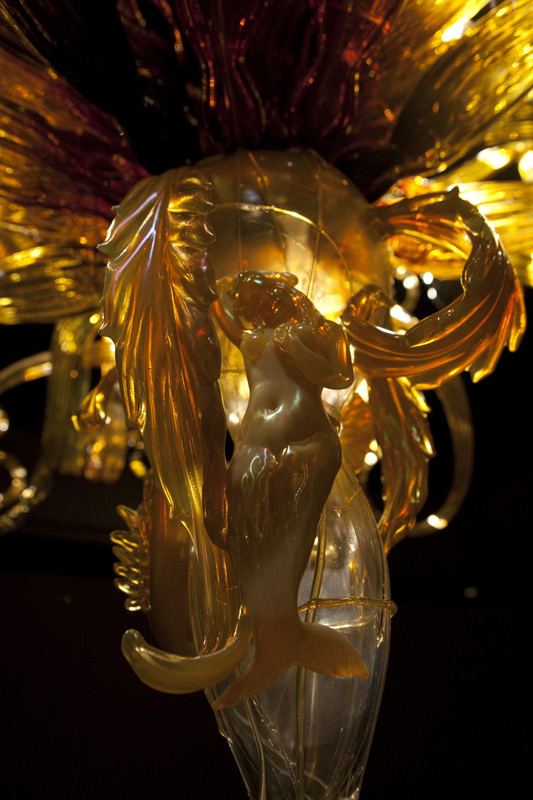 The seminal Laguna Murano Chandelier was blown at the end of Chihuly Over Venice in September 1996. 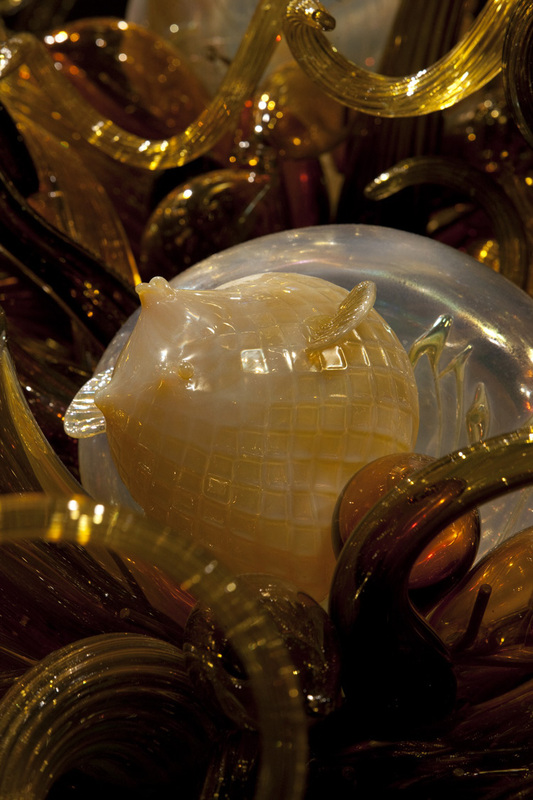 It was the only Chihuly Chandelier blown on the island of Murano, in the hot shop of Pino Signoretto. The blowing of the Laguna Murano Chandelier marked the first time that three glass masters—Dale Chihuly, and Italian masters Lino Tagliapietra and Pino Signoretto—were assembled at the request of Chihuly to create a collaborative work. Laguna Murano Chandelier is unique in the oeuvre of Dale Chihuly, as it incorporates eight sculptural elements in addition to the explosion of amber tendrils that make up the mass of the Chandelier. Pino Signoretto and Lino Tagliapietra hot-formed iconic sea imagery suggestive of the Venetian lagoon: a crab, jelly fish, sea star, eel, octopus, pufferfish, sharks, and even a mermaid and the sea god Neptune. In all, the team worked for about a week in the Signoretto shop. These elements were eventually shipped to The Boathouse in Seattle to be incorporated into the Chandelier design. 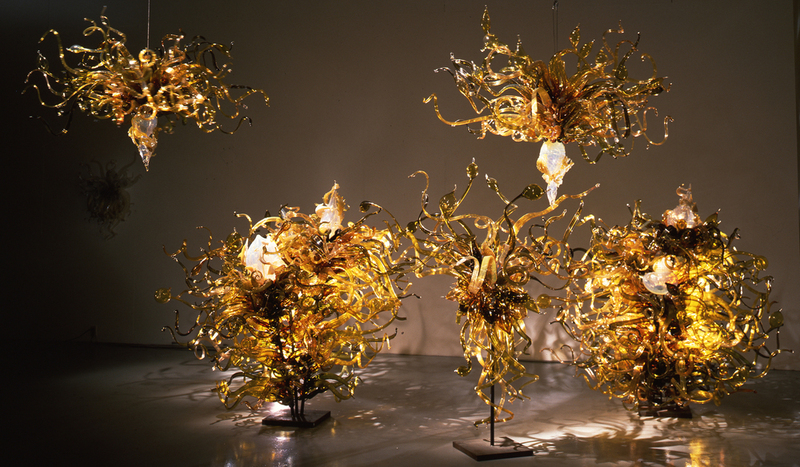 The hundreds of tendrils (seaweed fronds) were blown at Chihuly Studio, where Chihuly ultimately decided upon the final composition. 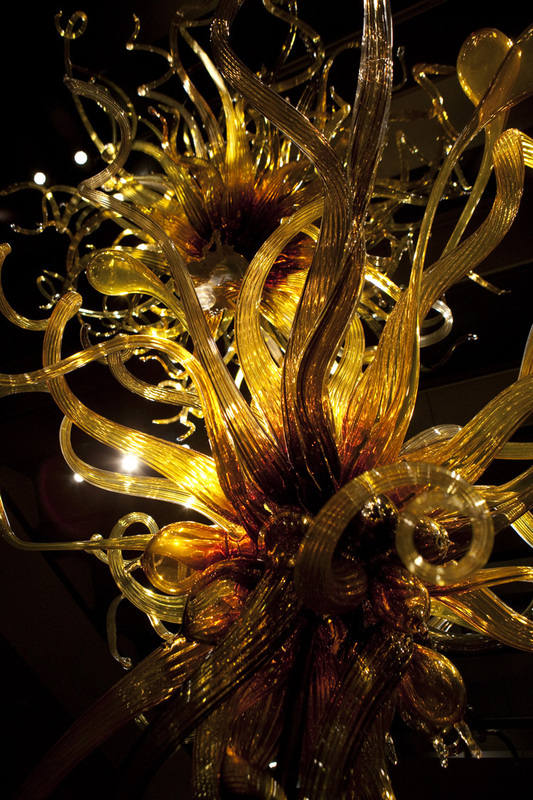 Many critics and curators consider Laguna Murano Chandelier to be the most important Chihuly Chandelier in existence. 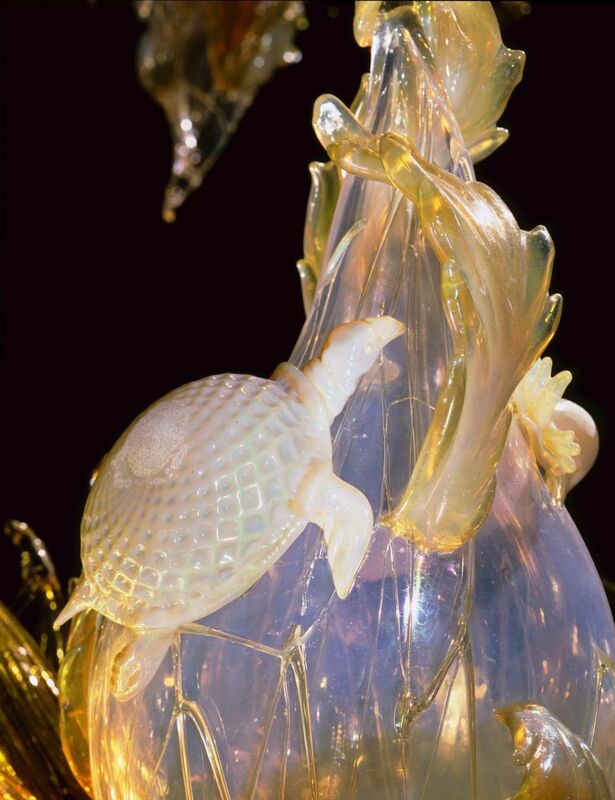 The fact that it evolved out of the teamwork of Chihuly, Signoretto, and Tagliapietra makes it a significant moment in the studio glass movement. Laguna Murano Chandelier is comprised of five components, two components are hung from the ceiling and three components are installed on standing armatures.